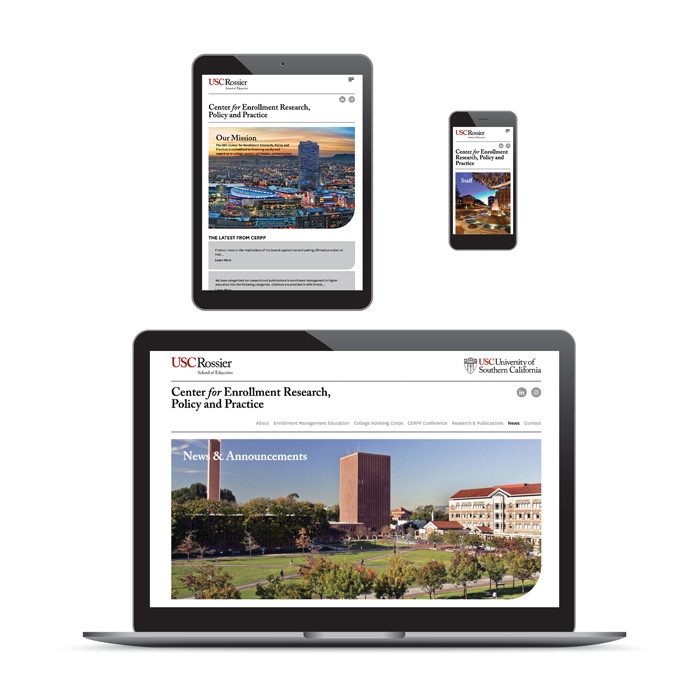 In early 2019, the University of Southern California’s Center for Enrollment Research, Policy, and Practice (CERPP) launched their new—Qubit-designed—website. The site redesign celebrates the iconic campus as well as the administrators and students who comprise the program. 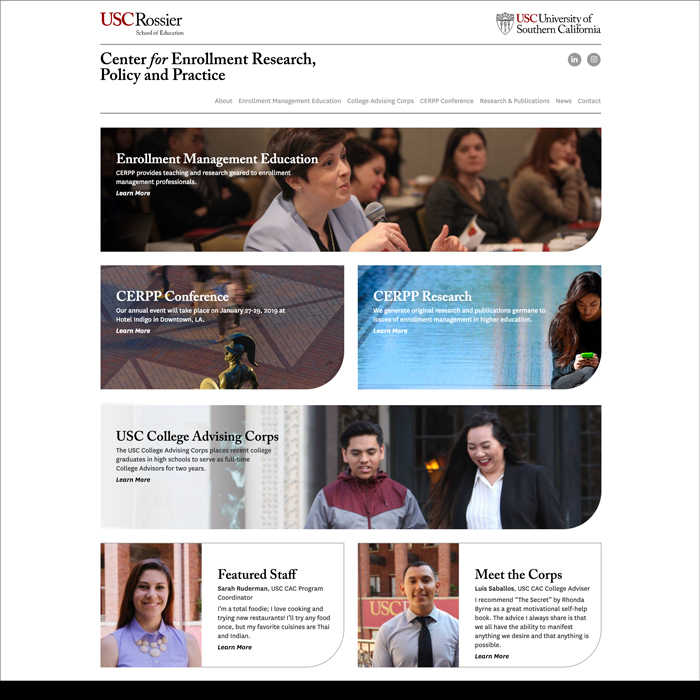 CERPP’s mission is to foster equity and expertise in college access, admission, and outcomes.